The weekend gets an extra day at NeL! From now on the weekend starts on Thirstday! 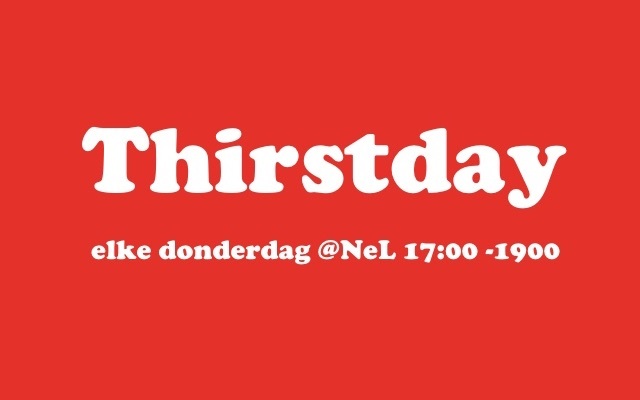 Every Thursday from 17:00 to 19:00. Order your drinks at the bar and get a 25% discount! Nice deal if you feel like having a special beer, delicious glass of wine, or a gin and tonic. And if the weather is nice, you can enjoy that drink on our fabulous terrace! Which is incidentally one of the best terraces in Amsterdam. We’ll see you on Thurstday at the bar!